My relationship with my hair is complicated. In the last year and a half as well, I’ve developed an intensely dry scalp, that can be flaky, but mostly just deeply annoying. Sometimes, it’s tied to my cycle. Sometimes, it’s made worse or better by what I use in my hair. But the baseline for my scalp seems to be dry as hell, with a side of flakiness, and that’s just… my normal as an adult. It goes without saying: of all the terrible genetic traits to inherit, why this one (and my slow as heck metabolism)? Whenever I look for products for my hair and scalp now, I have to be really clear about what I’m looking for: my hair itself isn’t necessarily dry, but my scalp is; my hair handles sulfate-free shampoos well, but not sulfate-free conditioners; harsh dandruff ingredients irritate my scalp worse; I need moisturizing, but not too much or it weighs down my hair… the list goes on. When I received this conditioner for review, I was convinced I was going to hate it. The L’Oréal Paris Elvive Extraordinary Oil Rapid Reviver Deep Conditioner has the longest product name in the world (I struggled to shorten it for this blog post) and promises to “provide 2X more nourishment than any leading conditioner” and to be “lightweight, hydrating and moisturizing.” Two of those words mean the same thing, so… we’ll see. Extraordinary Oil sounds way, way too heavy, doesn’t it? However, despite being called “Extraordinary Oil” and “a hair treatment” in various places both on the L’Oreal website and the tube, it also says it’s for daily use. Now, I subscribe to the idea that you don’t need to (and probably shouldn’t) wash your hair every single day. So using a heavy conditioner every day seems like a lot. I use a lot of hair masks, so I was fully prepared for this conditioner to have the texture of a hair mask. However, it doesn’t. It’s a fairly standard conditioner when you get down to it; it doesn’t feel heavy and it gives your hair that slippy feeling when you apply it. I’ll admit to being fairly addicted to conditioner; I never don’t use it, because my hair can be unmanageable without it. I love the slippy, smooth feeling and even though I know that’s sulfates, and the internet tells me that sulfates are bad for my hair, I also don’t like not using it… because then my hair turns into a single tangle that I can’t get out! Give me sulfates in my conditioner or give me death! Did I like this conditioner? Yes! I did. It was hydrating for my scalp and didn’t weigh down my hair as much as I thought it would. However, do I think it is anything special? Not necessarily. Despite all the fancy names, it doesn’t really promise to be anything besides a hydrating conditioner—which is what all conditioners do. Whenever I’m testing a hair product, I have to ask myself, over and over again, if I’m noticing a difference in my scalp (better or worse); preferably, it’s actually best that a product has no effect on my scalp. This product is one of those where it didn’t make my scalp better or worse, which is often a solid win for me. Is this a particularly special conditioner? Not really. It didn’t necessarily wow me in terms of making my hair look any different from any other conditioner. It should be said, again: I don’t really have dry hair, just a dry scalp, and my hair isn’t damaged from heat treatment or hair dye. The bonus is this is only around $4-6 depending on which drug store you go to. (The downside is that L’Oreal Paris tests on animals.) If you’re looking for a good, affordable conditioner, and you struggle with hair that is dry or damaged, this is a great option. Would I repurchase? It depends. I think if I started heat treating my hair more, I would probably look for something similar (but cruelty free) to use, as it is really hydrating. But this specific product? Probably not. Disclaimer: As denoted by the asterisk (*) in the title of this blog post, I received this product in exchange for review. If you’d like to learn more about my disclosure policy, click here. I love a gimmick. You guys know that. Holika Holika Piggy Nose? I’m there. I’m on it. I’m 100% for it. I’ve been admiring the Sol de Janeiro Bum Bum Cream from afar for years; I’d heard rumors that people either absolutely loved the smell of it… or it made them want to puke. I’m not a believer in creams that “reduce cellulite” (cellulite is just how bodies are structured and made, especially bodies with estrogen, so you can’t really effect your body at that level with a cream), however, so I wasn’t really interested in buying it. I did, however, receive a tube of Bum Bum Cream in my most recent Ipsy. (Yes, I’ve signed back up. No, I won’t be reviewing them for a while.) Which gave me the opportunity to use it and decide if it really is worth how gosh dang expensive it is. “This fast-absorbing cream with our addictive Pistachio and Salted Caramel fragrance will bring out your most radiant skin ever”: I skipped the part with the ingredients, because that often means nothing to me. (Although I do have a note about it!) Is this fast-absorbing? Yes, actually it is. That’s one of the things I really liked about it. It’s kind of the perfect hand lotion to keep by my computer so I can still type without feeling like I’m making a mess. However, I want to talk about the fragrance. Every time I put this lotion on in the past week or so, I’ve said, “I love this old school coconut smell!” And Danny agreed with me; it smells like old school sunscreen without the chemical sunscreen component. It is pure coconut. So… Salted Caramel and Pistachio?! I don’t see that, although i guess it smells sweet and nutty. But I swear, I was more surprised reading this scent description than anything else. I’m usually pretty good with smells, but maybe not. I will die on this hill though; I’m 90% sure this is coconut-scented and they just don’t want to admit it! I liked a lot of things about Bum Bum Cream: the scent, the fast-drying aspect. I’m unconvinced that it does anything to your skin other than moisturize it (which is does quite well). However, there are a few things I don’t like. The name, of course, sounds really stupid to say out loud, but as I said, I love a gimmick. Is it any worse than “Piggy Nose Peeling Gel”? Nah. I also don’t like that if you use it on certain areas of your body, it doesn’t just tingle: it burns. The first time I put it on, I just put it on my hands and I noticed it had a slight warming effect; I’ve noticed that with lots of lotions that use caffeine in them, so I wasn’t concerned. However, the first time I put it on my legs—and specifically, my thighs—it wasn’t just warming. It was like a burning tingle. Not entirely unpleasant—it didn’t hurt at all and didn’t turn me red or give me a rash—but kind of shocking if you aren’t expecting it. I have relatively sensitive skin and the tingling went away within 15-20 minutes… but if you’re skin is highly sensitive, this might be a huge issue. That’s really the only big downside to me: that tingle can sometimes be light, but sometimes, it’s like a freight train. It just totally depends on where you apply it. And the thing is, I think it’s totally worthless; I don’t think it changes how my skin looks whatsoever, so it’s just needless pain! Will I buy a whole tub of this? Maybe. I don’t think I’ll ever use it as a full-body lotion, but I do like it for my hands while I’m working or just around the house. I might buy a small travel size tube similar to the size I have for my purse. Have you ever used Bum Bum Cream? What did you think? I love trying new skincare products. 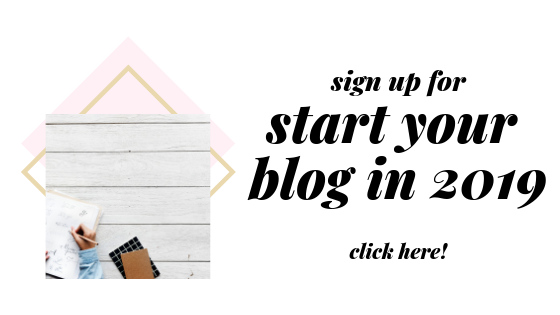 In fact, it’s one of my favorite parts about having my blog; getting the opportunity to try new things and see what works for my skin is just one of the many perks of blogging. As an example: a few weeks ago, I received the Peter Thomas Roth Peptide 21 Collection to review. (I received this product from Influenster, not Peter Thomas Roth directly. *) Peter Thomas Roth is a brand I would never actually buy myself—even though I’ve heard great things about them—because it’s just a little out of my price range. So, we’ve come to the downside of being sent products to review: sometimes you find stuff you really, really love that is way more money than you would ever spend on a product. However, I will say this to start this review: I like every single one of these products. However, there is something a little gimmicky about the peptides stuff—I don’t know enough about it to know for sure, but I know enough about marketing to know when a gimmick is a gimmick. That being said, again, I really like all these products. Do I think the peptides do anything? Not really. My favorite part of the collection are the Exfoliating Peel Pads; they are a quick, easy swipe part of a routine and I’ve noticed the biggest difference in my skin just from them. (When trying new products, I usually add just one at a time.) They really are the stand out product from the collection, as they contain more than “peptides”. Here’s what they promise: “Packed with peptide-building Amino Acids, these exfoliating peel pads help reduce the look of pores, uneven skin tone, texture, fine lines and wrinkles while prepping skin for peptide treatment products.” It goes without saying, they don’t only contain peptides, but also Phytic Acid, Salicylic Acid and Sodium Lactate, as well as vitamins A and E.
I noticed a huge difference in my skin’s texture just from these pads alone. Usually, I try not to use anything that makes garbage pile up, however, and using a peel pad every single day (or twice a day) creates a lot of garbage at the end of the day. If this was a toner in a bottle, I’d absolutely be head-over-heels in love with it. It took so much self control not to say this in the above section, but: the serum feels gross. It makes my skin feel so sticky and slimy, no matter how long I let it sink it. I’m still using it, but I cannot wait to get to the moisturizer step of my routine purely to rid myself of the feeling. However, even after moisturizer, my skin still always feels a little gross, so I find myself skipping the serum more-and-more. And to be honest, I don’t notice a huge difference without the serum. Here’s another thing about the serum: it’s $110!!!!!! I would say it’s the worst product of the collection, and the most useless, and it costs nearly DOUBLE the price of the peel pads! That’s outrageous and I absolutely do not love that. The peel pads cost $52, which isn’t a great price, but also isn’t bad as I really do like them. The moisturizer is $78, which is another yikes; I like it, but it’s not any better than a Pacifica moisturizer, which you can get for less than $15 at Target. As always, for most skincare products, what it comes down to is price for me. You can find lots of things that give you the same or similar results to these products. Is this a nice collection? Sure. Is it way out of my price range? Yes. Will I be repurchasing anything from it? I may repurchase the peel pads if I can’t find a good dupe, but it’s definitely a long shot. I’m glad I got to try this new collection; the peel pads, honestly, are the best part of it. But as I said, the price point is just a little high for products that I don’t feel deliver (at least on my skin). A lot of that price is clearly the name, which is all well and good—but who wants to spend $200+ for products that don’t make a $200 difference to your skin? Disclaimer: As noted by the asterisk (*) in the title of this post, I received these products free in exchange for review. However, all opinions remain my own! Click here to read more about my disclosure policy. Before I had Forrest, I spent a lot of time on my wardrobe. I shopped frequently and spent a lot of time picking out outfits. However, once the chaos of motherhood descended, a lot of that got pushed aside. As Forrest has gotten older, I’ve only gotten busier. I blog, of course; I freelance; and I work for a digital marketing agency. Between parenting, working, cleaning my house, and taking time for myself (I have to cross stitch sometime! ), I find myself with less and less time every single day it feels like! That means that usually, I have to pick one area to focus on. If you know me, you know that that’s often my makeup; I feel most put together when I get my lipstick and mascara on… even if I’m wearing my comfy joggers and a hoodie! A lot of this has been my attempt to stop wearing leggings every single day! It’s hard to dress up leggings, that’s for sure, but I knew for my work, I needed to start focusing more on how I present myself, even when I don’t feel 100% great or I’m running on less than 3 hours of sleep. The time I have for looking put together is often minimal. In the morning, I am usually getting Forrest dressed while I make my coffee, then putting on makeup while I assure him that we will, in fact, get to my mom’s on time. I am often super behind on laundry, which means sometimes I’m running around looking for my favorite black H&M jeans in the middle of letting my setting powder bake. That’s why having a few set uniforms for myself makes every morning go just a little bit easier. What I decide to wear is basically already picked out--I just have to remember what’s on my roster for the day! If I have a meeting, I might go for a dress or a jacket with my jeans instead of a top and cardigan. If I’m just going to be working in my office, I’ll wear jeans and a t-shirt which I can throw a cardigan on top of if I need to run out. One thing that makes every outfit pop and look just slightly more put together is a great accessory. And lately, that great accessory has been my new JORD Watch. When JORD reached out to me about writing a post, I was so excited; I’ve been drooling over some gorgeous timepieces recently. I wear a Fitbit Versa most days, which isn’t really the most high end of looks, so I wanted something I could wear to a meeting or a night out that was more functional than jewelry, but prettier than a Fitbit! The color of the watch is gorgeous; the Koa wood is a warm-toned, which goes beautifully with the rose gold pieces of this timepiece, but goes with everything I own. It doesn’t look out of place. I’ve gotten so many compliments on this watch the last few times I’ve worn it to meetings or to work. The thing I love most about JORD is their focus on sustainable practices when it comes to creating beautiful timepieces. That means you can feel good about your purchase, because you know it’s going to a company that absolutely loves what they do and does everything with sustainability in mind. Because these watches are made with wood, it does require a little bit more care. Thankfully, every JORD order comes with instructions for care--which boil down to using Tung Oil or Lemon Oil on your watch, as well as ensuring that you store it properly between wears. Nothing makes me feel better these days than being complimented on my outfit--and I’ve definitely had more of those moments since I started wearing my Cora Polaris watch from JORD. I’m so excited to have the opportunity to receive this watch from JORD-- and I’m even more excited that I have the opportunity to offer this same feeling to one of my followers. Click here to enter my giveaway to receive $100 OFF a watch from JORD. As well, when you enter, you’ll still receive a 10% off code for any order from JORD as well--which means, even if you don’t win, you still can order a JORD watch! Disclaimer: As usual, an asterisk (*) in the title of this post denotes that I received this item in exchange for review and promotion. However, all opinions remain my own. Posts like this help Writing Between Pauses keep going! For more information about my disclosure policy, click here.